Pagers are outdated and tasks are easily lost. There is no data collection or ability to audit bleeps. There is more secure technology in the pockets of NHS doctors and nurses already. Junior doctors repurpose WhatsApp to solve the issue, but this has security implications. We had the opportunity to take part in the Hackathon organised by Guy’s and St Thomas’ NHS Foundation Trust on 19 March. 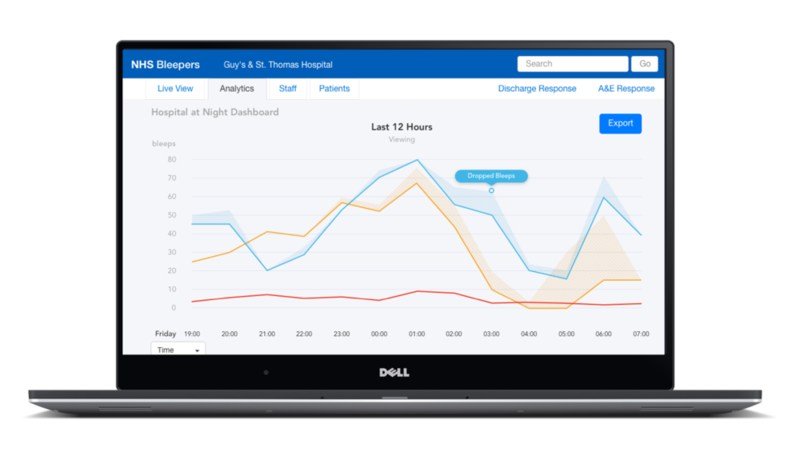 We worked with great people (doctors, nurses, data scientists, clinicians and developers) and produced a rapid prototype that tackles an issue faced by the hospital: secure and effective task management. We were the runners up to the first prize. 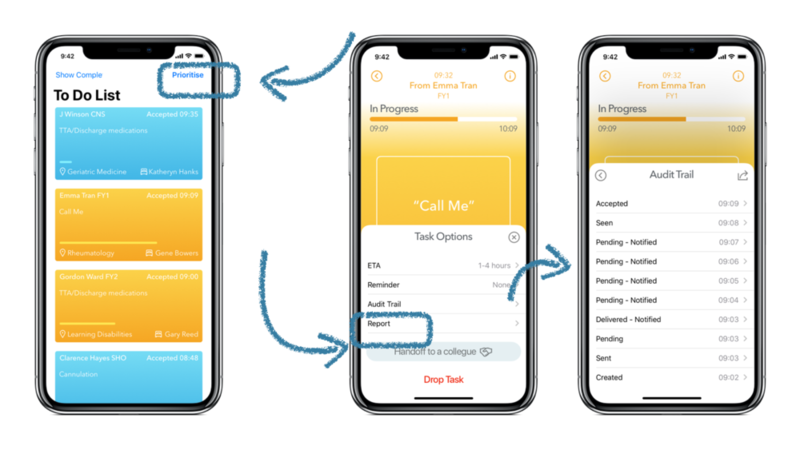 We created a concept for a task management app that has real potential. Together with Dr Dominique Wakefield, we at 2xUX decided to put some more time into it and inspire the hospital to take it further. Providing real value to users to help them integrate the app into their workflow is the first big challenge of the app. User experience is a key component to success. During the Hackathon we interviewed senior and junior doctors, nurses and NHS staff. Below are some of the interesting challenges they mentioned, along with our solutions. 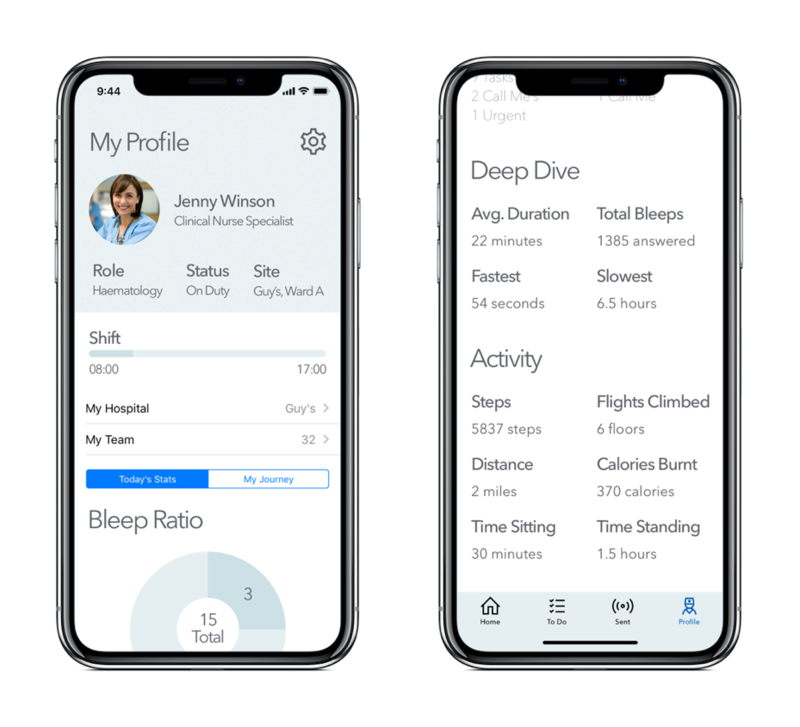 Bleepers provides a profile view for seeing your stats and work journey, helping you better understand your work and activity patterns. Bleeps stay on the home screen and send push notifications so you can’t neglect them. Bleepers allows junior doctors who get a lot of bleeps to manually prioritise them, drop them and even report them. You can hand over a task to a colleague but also grab an unclaimed task from a nearby team/location. Every bleep is geotagged (and phones now have the capacity to identify elevation). Therefore the app only bleeps nearby staff. 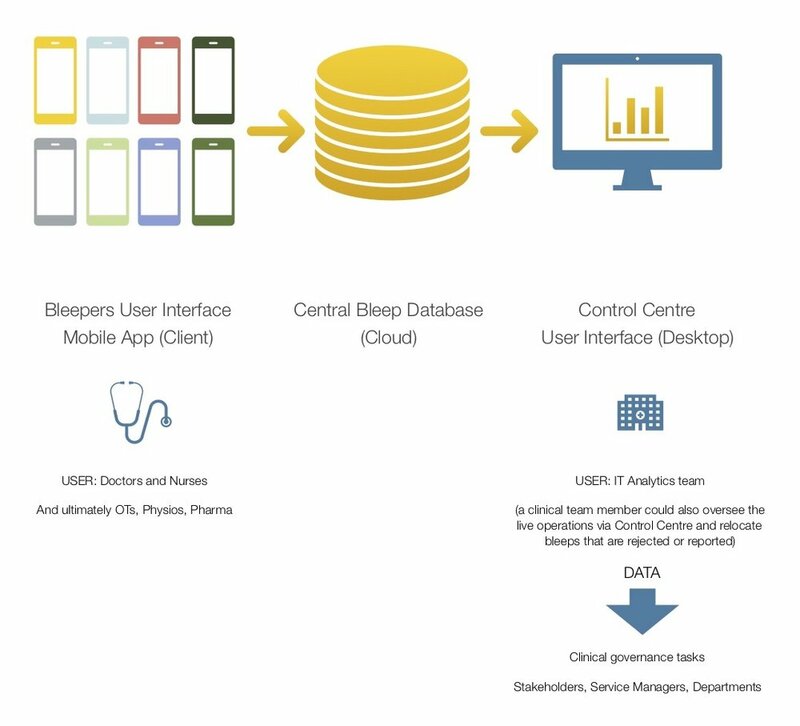 With Bleepers, users can now report a bleep helping the NHS understand patterns of misuse and allocate resources efficiently. 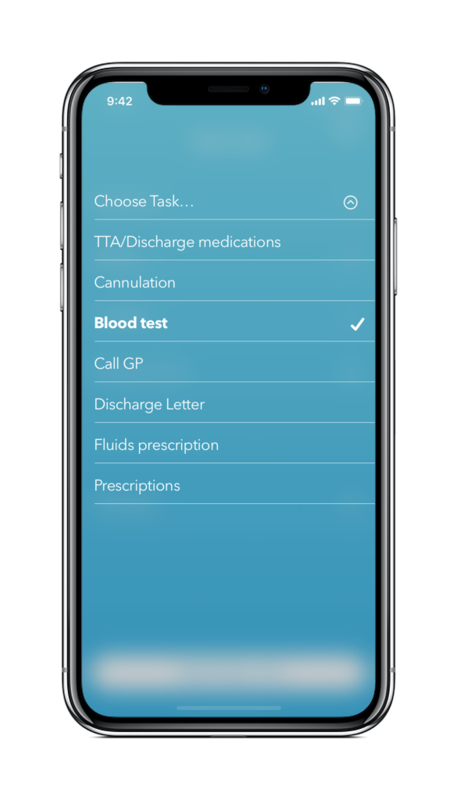 There are two major benefits for NHS teams using the app. Using a secure database in the cloud, we can serve the data in a desktop interface in a way that is simple to understand and export for other teams to analyse. 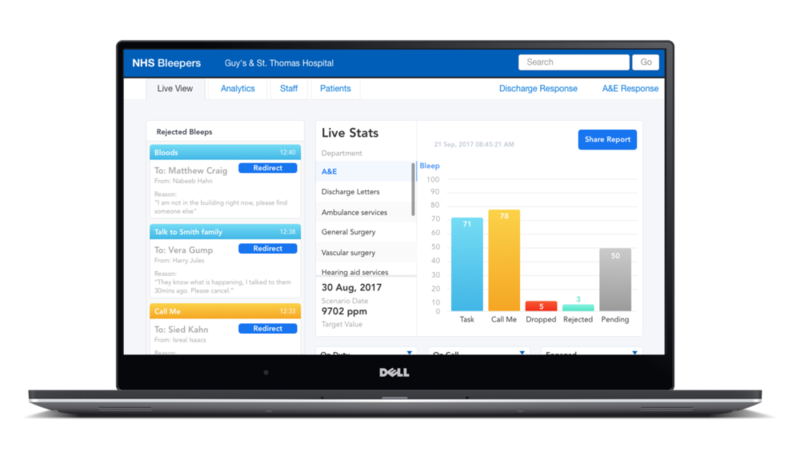 The IT Analytics team can collate and pull the data that could then be used for clinical governance tasks like auditing, significant event analysis, effective staff management and more. The results would then be sent to the relevant stakeholders. For example, the Physiotherapy department could request data from cardiac specialist nurses and cardiology doctors in order to audit their activity. A service manager could also collect all the task data on blood taking and cannulations to make a business case to employ more phlebotomists. In Bleepers, tasks can be preset by the department to ensure consistent input of data. Each task has an audit trail where every interaction is recorded, timestamped, geotagged and accredited to a member of staff. Status updates such as sent, pending, acknowledged and in progress allow users to track the progression of each task. Speak to doctors and nurses in different departments to learn about their goals, capabilities, motivations and pain points to empathise with them. This will allow us to identify the typical user groups (personas). By speaking with the users of the system we will be able to gain a better understanding of the tasks they encounter and how Bleepers could help them organise and complete tasks more effectively.